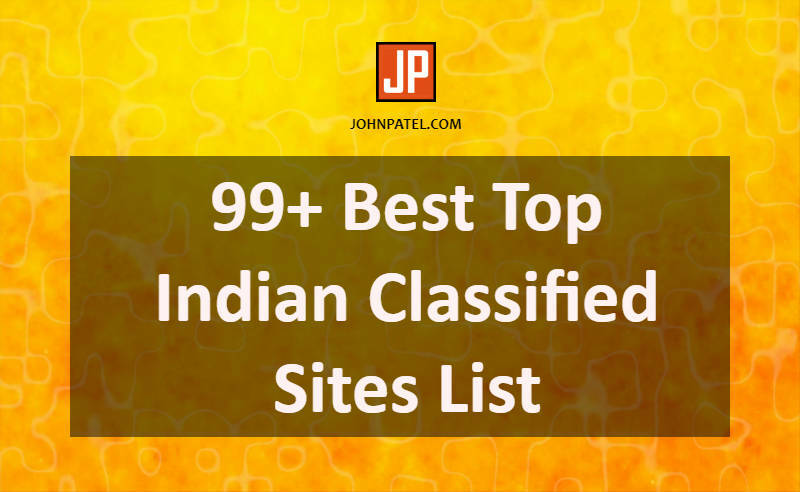 What are Indian Classified Sites List? The classified sites are one type of advertisement source for your brand or services. It provides the best platform to promote your company, products, brand, and services. Some sources are free and some classified sites are paid. Also, you can get high-quality backlinks from these sites. Classified sites submission is a part of local SEO. Local SEO is the most important thing to push behind all the competitors. If you have a product selling website then it will be very helpful for you. It will promote your products on a very wide range of platform. There are too many people visit these sites for buy something. If your item is eye-catching then you don’t need to advertise your product. Also, people can contact you also through this sites. Above all are the advantages you will get after submitting your link or product and services. It will help you grow your business online. No need to find a buyer. Buyers will contact you from this. Also, the classified site must be a high quality. If it is not then it is useless. I hope you like this list. Please contact us to add new links to this list or comment below. Finally last words are please share it to show your love.